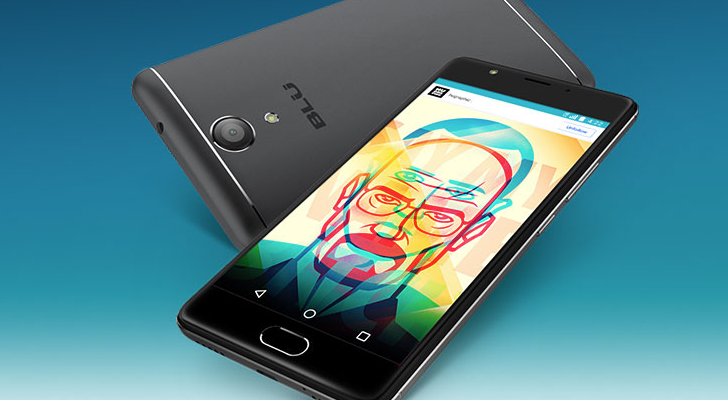 Blu has a history of making phones with excellent specs for extremely low prices. We recently reviewed the Blu Pure XR, and while the specs on that device were good for a $299 phone, the software experience left a lot to be desired. Blu has just revealed their newest device, the Life One X2, and it is very impressive at the price point. Let's start off with the specs. The Life One X2 is powered by a Qualcomm Snapdragon 430, a 64-bit octa-core CPU with an Adreno 505 GPU. The low-end model comes with 16GB of storage and 2GB of RAM, and the high-end model includes 64GB of storage and 4GB of RAM. Both models have SD card slots, so storage isn't much of a concern. Unfortunately, the Life One X2 comes with Android 6.0.1 Marshmallow out of the box. NFC is also absent. On the outside, the screen is a 5.2" IPS 1080p display, and below that is a fingerprint sensor. The back camera is a 16MP lens with PDAF Laser Autofocus, capable of 1080p video at 30FPS. Strangely, the Life One X2 only has a MicroUSB port - no USB Type-C here. But this device does support Qualcomm Quick Charging 3.0, so you aren't missing out on charging your device quickly. For just $134.99 or $179.99, you're getting a lot of phone for not much money. If you're interested, you can pre-order the device on Amazon right now. Just keep your expectations low for Android updates.